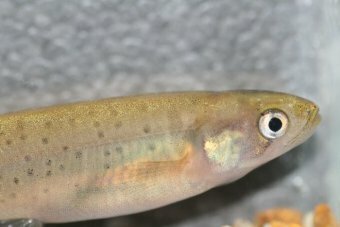 The critically endangered western trout minnow has been bred in captivity for the first time, in a program that is hoped will help shore up the population. The western trout minnow is so rare it is only found in three small rivers in WA's Great Southern region. 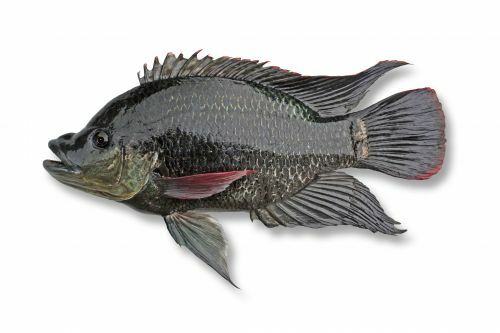 It was the first freshwater fish species in Australia to be listed as critically endangered. Researchers from the University of Western Australia and the Department of Fisheries have managed to breed the fish in a laboratory, and hope to restock the rivers in a couple of years. Principal research scientist Dr Craig Lawrence said there is also a team examining the reasons why the fish are becoming extinct. 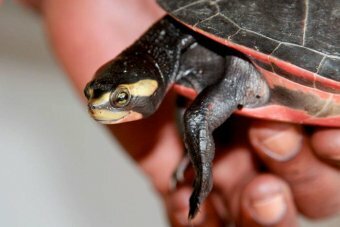 "They are specifically looking at the reasons why several rare species in WA have got very low numbers in the wild," he said. "Once those factors are identified, we will put together a strategy to address them and it's only then that we would look at restocking." In 2006 it was estimated that between 2,000 and 5,000 minnows remained in the wild. Dr Lawrence said researchers had to break new ground in figuring out how to breed the fish. "We had to work out how to keep them, feed them, breed them, incubate the eggs, raise the embryos, hatch the larva out, and rear them up to fry," he said. "They need specific cues to breed. They need the right flow rate, the right temperature, the right barometric pressure." He said weirs and dams on water bodies changed the way the rivers flow, which affected the fish's breeding in the wild. In one case, researchers built a "fish ladder" to help the animals get around the barriers, and this may need to be installed in other areas too, Dr Lawrence said. The fish's size was also a factor in breeding it in captivity, he said. "When we're talking about these fish, we're scaling everything down to 1:1000 of what we would usually use," he said. "The accuracy of the injections and anaesthesia we use have to be very rigorous and there's very little room for error. "No-one else has used these techniques before for a fish of this size." The research has been carried out over five years, but the fish only breed four weeks out of the year, Dr Lawrence said. A world-first study has found that dredging can more than double the level of coral disease in reefs. Scientists have known for decades that dredging can smother corals, but researchers say this is the first time it has been linked to diseases. With dredging approved in the world heritage listed Great Barrier Reef Marine Park, the scientists hope their work draws attention to the pressing issues facing the region. The study by the Australian Research Council's Coral Reef Studies Centre of Excellence looked at the 7 million cubic metres of dredging done for Chevron's Gorgon Gas Project off Western Australia's coast. 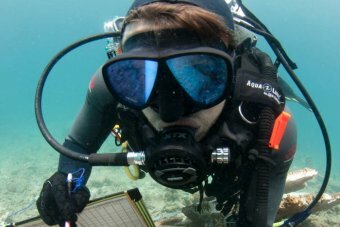 "There was a fair bit of dredging going there and this was an ideal opportunity to use this natural experiment to look at the impacts of dredging, sediment and turbidity on coral health," lead author Joe Pollock said. "What we've found is that you get two times as much coral disease near the dredge sites as you do at nearby control sites." A marine researcher on Queensland's Gold Coast says conditions for dugongs in Moreton Bay have improved after the environment was badly affected by Brisbane's 2011 floods. 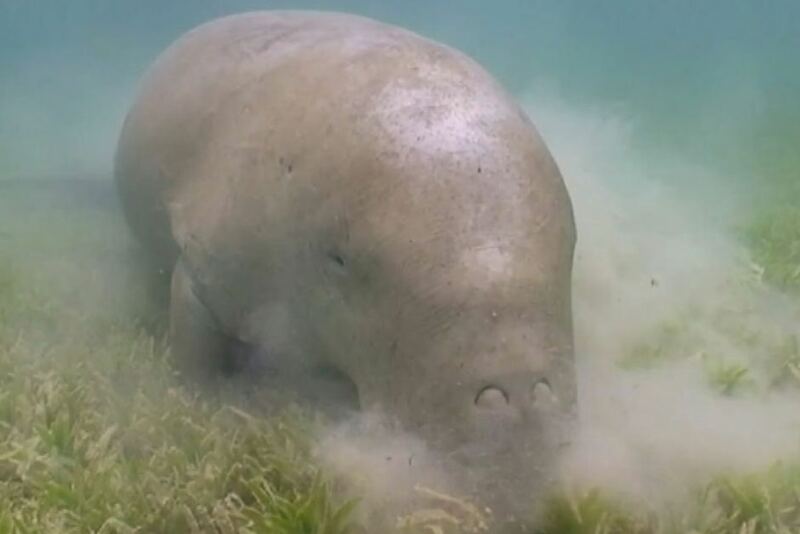 A dugong feeding on seagrass in Moreton Bay. Sea World on the Gold Coast, the University of Queensland, and the Sydney Sea Life Aquarium are checking dugong health in a project that started seven years ago. 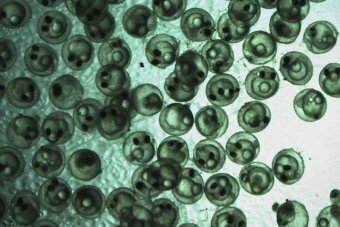 The CSIRO has told a world aquaculture conference in Adelaide the industry already is facing challenges from climate change. 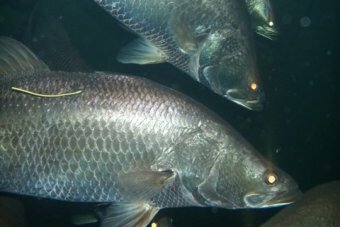 Barramundi - Rising water temperatures are a challenge for fish farming. 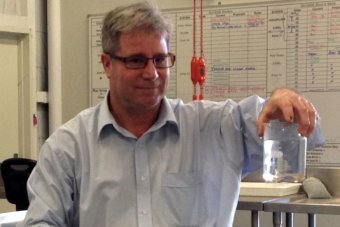 The fast-growing industry generates more than $1 billion annually for the Australian economy and CSIRO research scientist Alistair Hobday says aquaculture operators have been making a strong impression in the international marketplace. "I think aquaculture operators in Australia are very sophisticated, they grow high-value products that go to international markets as well as our domestic markets and I think they're well set up for coping with these changes," he said. But Dr Hobday says aquaculture operators will need to find ways to adapt to rising temperatures. "We've seen cases around Australia where warming waters that have been unusually warm have led to declines in salmon production, have led to declining oxygen in tuna pens," he said.